Dhaka, 10 Feb, Abnews: The question paper of SSC Mathematics examination has been leaked before the exam. Both MCQ and broad questions of the Kha-set of the question papers were leaked on social media almost one and a half hour before the exam began at 10:00am. 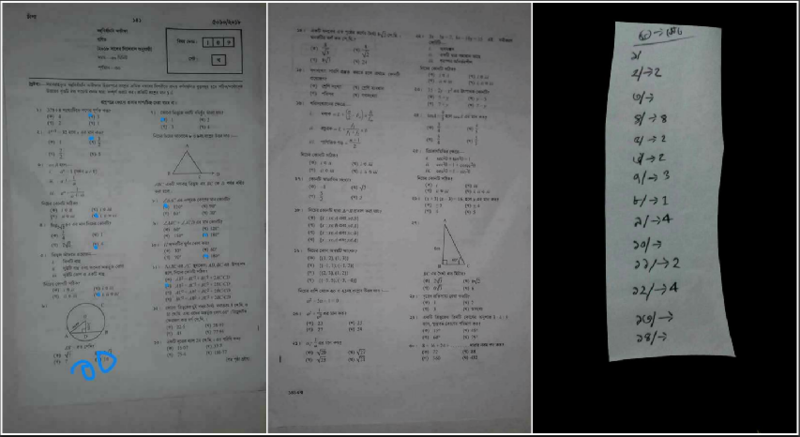 Before the math exam, questions of the previous four exams – Bangla 1st and 2nd, English 1st and 2nd – were also leaked through social media platforms and websites. Earlier today, a woman was arrested near Government P N High School in Rajshahi along with a ‘leaked SSC question paper’.